You don’t have to travel to Greece to experience incredible Greek food. It’s easy to make it at home. Greek food is one of my favorites, so I took part in the Expedia World on a Plate challenge to bring you my favorite Greek dish, souvlaki. 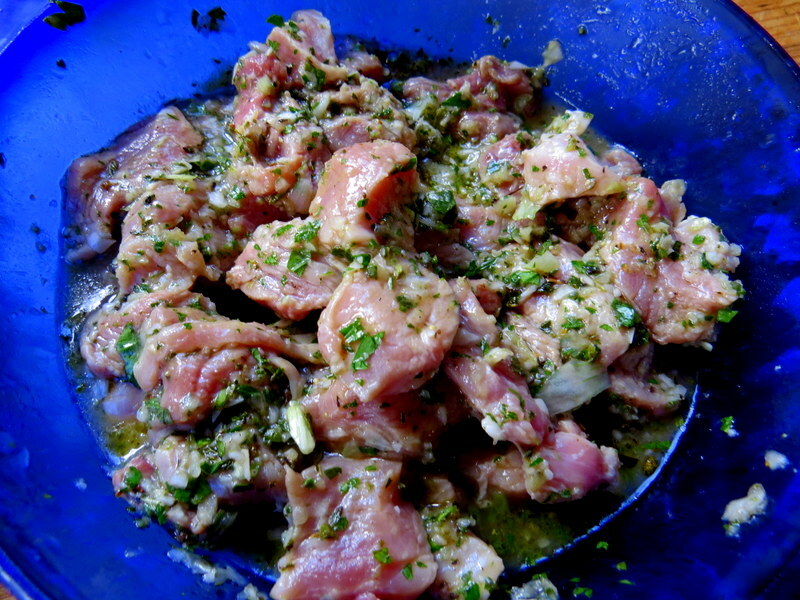 The marinade is the most important part of making souvlaki. It’s what gives it its flavor. For best results, prepare the marinade using the above ingredients, and let the meat sit in it overnight in the refrigerator. 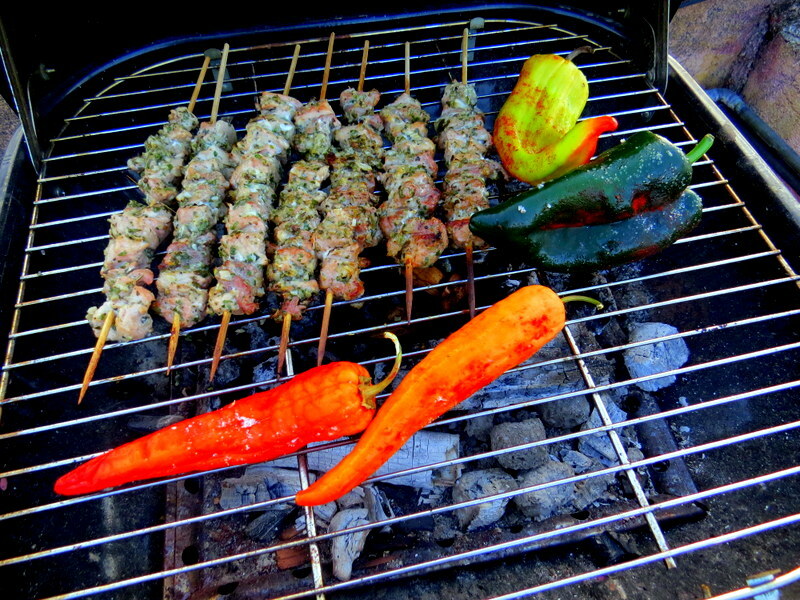 One hour before you plan to grill the souvlaki, soak wooden skewers in water so they won’t burn on the grill. Skewer the meat, and grill over hot coals about 6-7 minutes per side. (I also add soaked cherry wood to my coals for a smoky flavor.) Grilled peppers aren’t a traditional part of souvlaki, but I also like to rub some olive oil on the peppers and grill them until blistered. 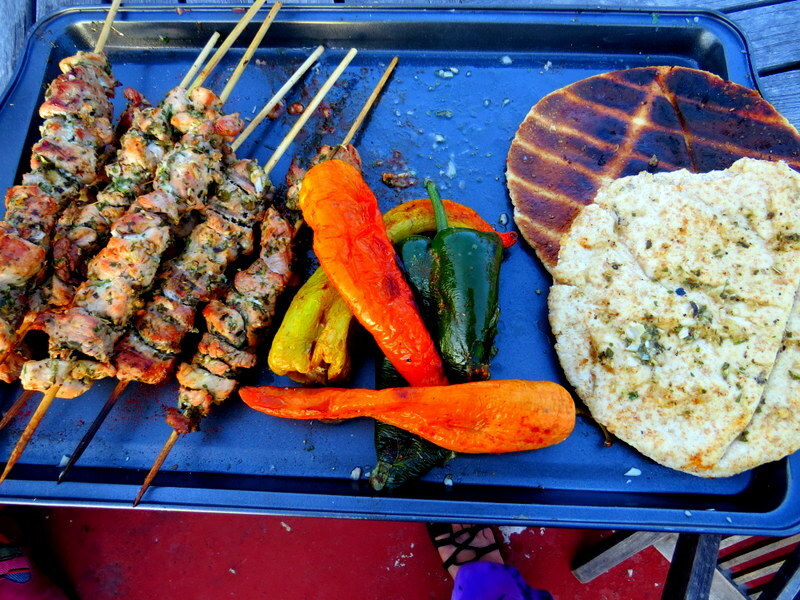 At the last second, rub olive oil and minced garlic over pita bread, and grill that on both sides. Put the grilled peppers in a paper bag for five minutes, and then remove the skins. Slice and mix with a splash of olive oil, red wine vinegar, chopped mint, salt and pepper. Serve with Tzatziki Sauce. 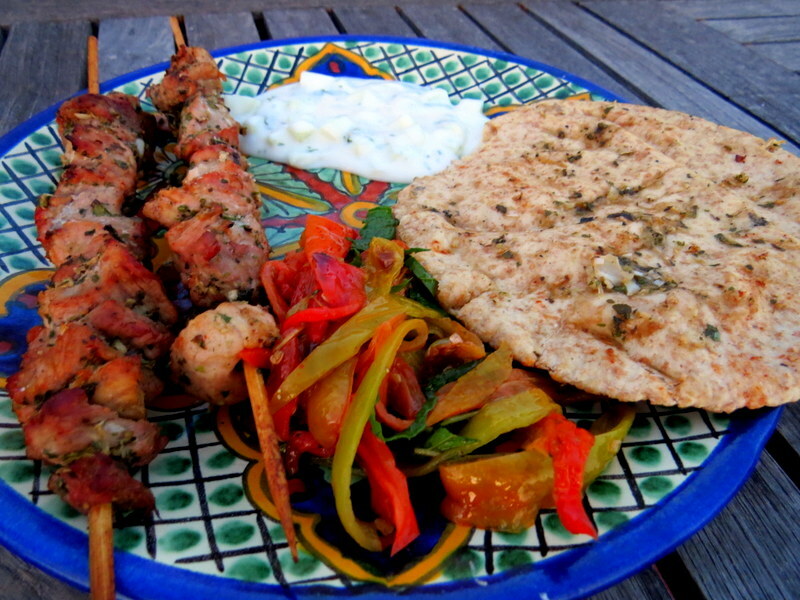 Combine all the above ingredients for the tzatziki sauce and serve with the souvlaki. 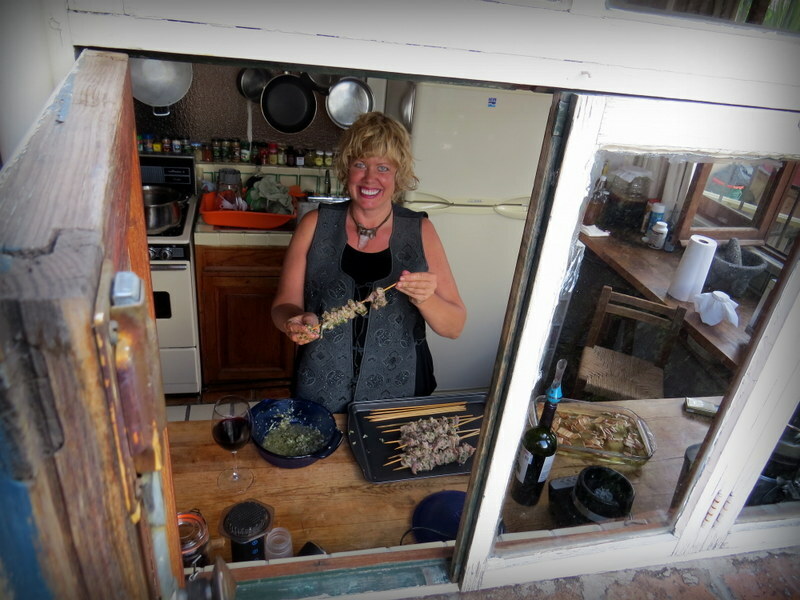 Do you have a favorite Greek recipe that you would like to share? 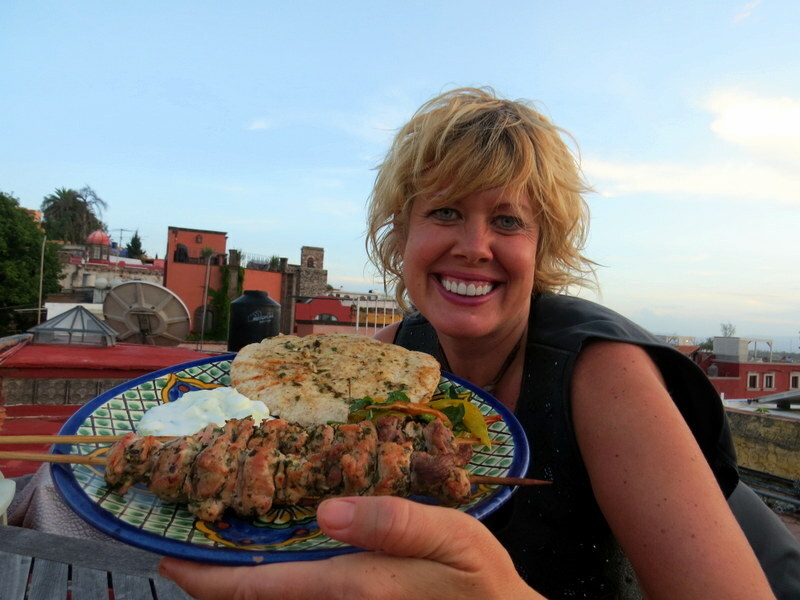 Tag your photos with the #expediaworldonaplate hashtag on Facebook, Twitter and Instagram. 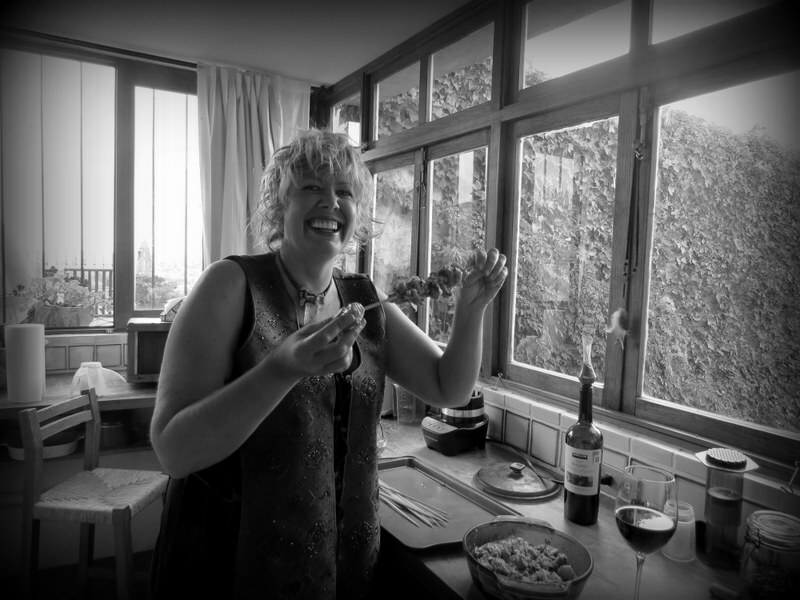 7 Responses to "Greece On A Plate-Souvlaki Recipe"
You did better on the challenge than I did – my dish tanked big style! Ha! What did you make? Nice! Looks like a fun dish to make, once you get the hang of it. Good idea adding your own touch to the meal with the grilled peppers. Thanks for the recipes! Thanks, Mary. Yes, it’s pretty easy, too. And, I like to add my own touches to recipes. Glad you liked it!